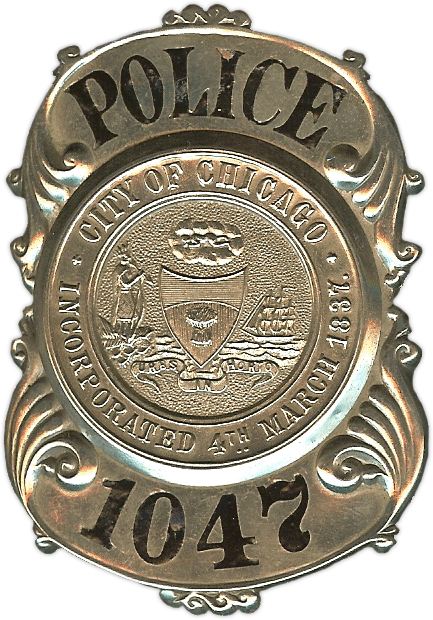 Below is a complete pictorial presentation of the 1889 Series Chicago Police Department Shield. The image shown is of the actual Department issued shield that existed in the 1889 series. Manufactured By: S.D. Childs & Co.